Easy to ride and loaded with great features, KYMCO Agility 50 4T is nimble, practical and fun. The quiet and efficient 49cc four-stroke engine delivers smooth power while the twist and go CVT automatic transmission makes riding easy. A disc front and rear drum brake will bring you to a reliable stop while the lockable under seat storage, rear rack and luggage hook will ensure you have plenty of storage space. 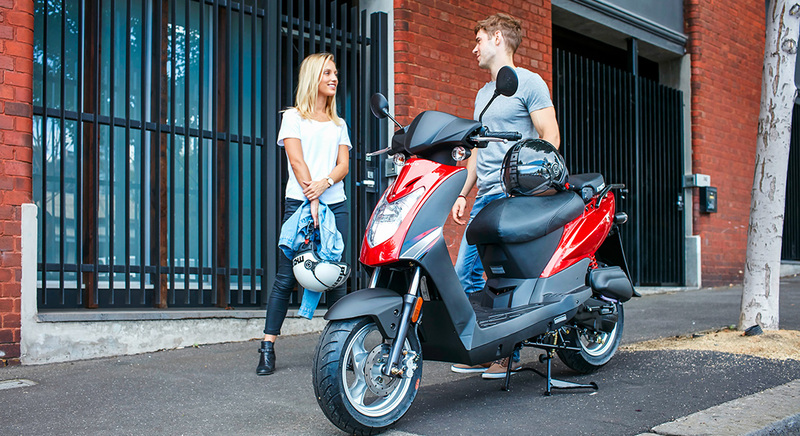 Nimble, practical and fun, KYMCO Agility 50 4T is the choice for those seeking economical transport.